It’s official. 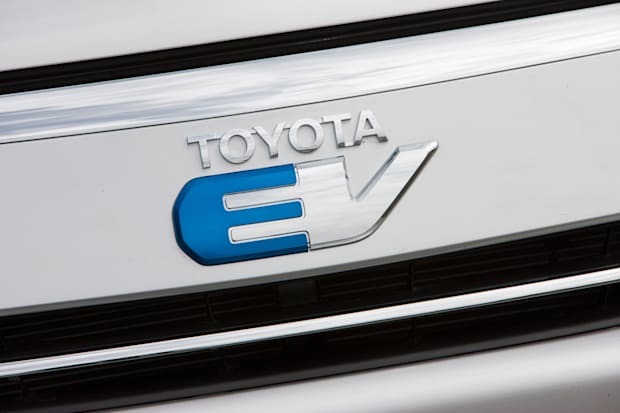 The Tesla engineered battery and powertrain will be built in Tesla’s California facility, while the rest of the Rav4 Electric vehicle will be made at the Toyota Motor Manufacturing Canada, Inc plant in Woodstock Ontario. The first generation of the new Rav4 EV was unveiled back in 2010, and it is slated to go on sale in late summer 2012. This entry was posted in Information, Specifications. Bookmark the permalink. I have a 2012 RAV 4 EV. I have never been happier with a new vehicle than I am with this vehicle. I charge at home (after midnight to get the better rate). The EV computes the charge start time in order to have a full charge by my specified morning departure time. It is so convenient, I don’t have to wait in line to get gas. And I don’t worry about all the usual gas powered vehicle scheduled maintenance. We are retired, so we get to use the EV for going to the stores, golf course, visit relatives, go out to dinner, etc.. The EV gets about 85 miles per charge (103 miles on extended charge if needed (rarely needed)). I only wish Toyota would build a vehicle that got 225 miles per charge.